Christmas Lights (2359E) Very unusual artisant lampwork beads create these unique Christmas earrings. The accents are Siam and Emerald AB Swarovski crystals and Emerald silver plated Swarovski rondelles. 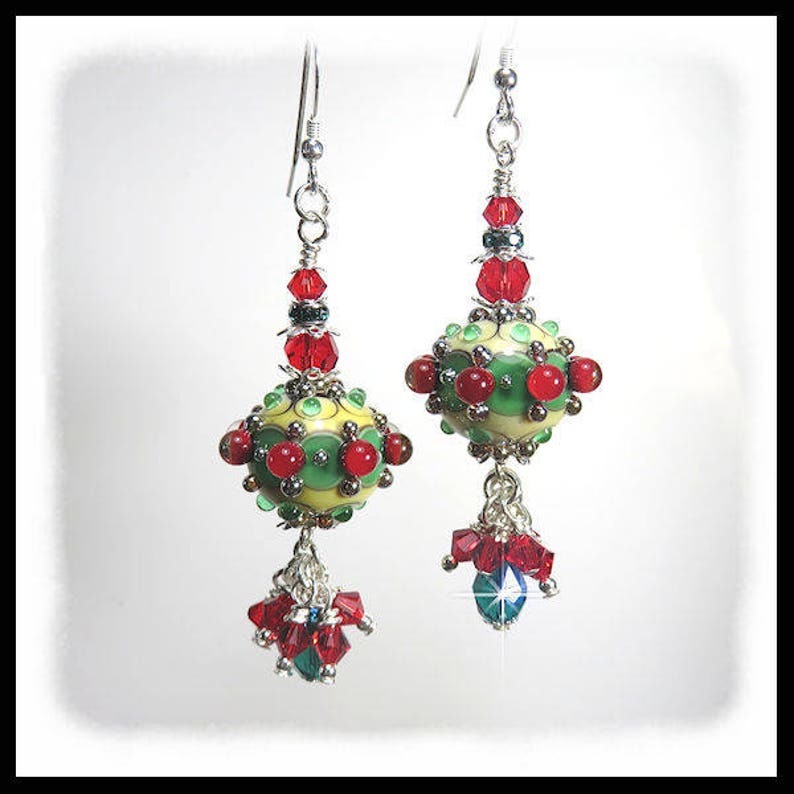 The lampwork beads and rondelles are set between sterling silver beads caps. The 2" earrings are hanging from sterling silver 20 guage earwires.